We have had a fun week this week. 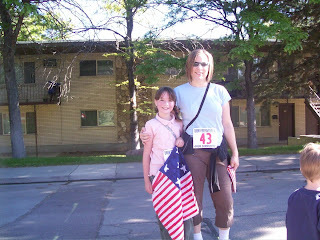 Valerie and I participated in a 5K run on Saturday morning. We really walked the whole way, but we had fun. Valerie worked really hard and made it to the end. We all won prizes when the race was over (stuff from a camping store). 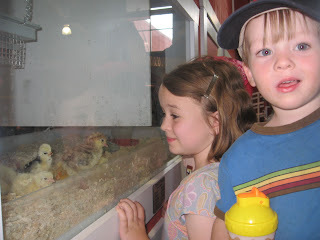 We had fun at Orem's Summerfest and then saw the movie Horton Hears a Who afterwards. Dante still isn't ready for the movie theater. Sunday it was Morgan's birthday party so we went to Kearns. 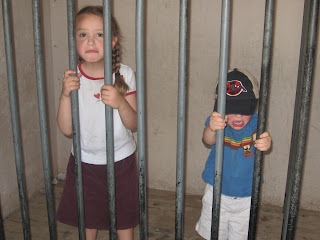 The kids had fun playing with their cousins. 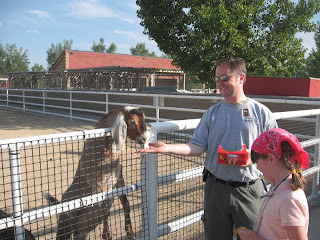 Tuesday night we went to Thanksgiving Point Farm and saw the animals. 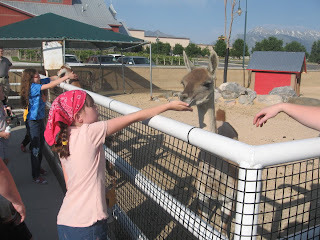 The kids had fun riding the horses and feeding the animals corn. 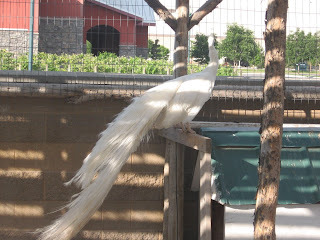 We saw some baby goats that were born that day and an all white peacock as well as regular peacocks. A few weeks ago we bought a new patio set and started eating dinner outside. It has been really nice and fun. 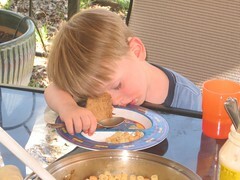 Yesterday Dante didn't get a nap and he fell asleep at the dinner table at 6 pm. He slept all night.